Home › History › Stone the Crows – it’s Archbishop Maclagan! Stone the Crows – it’s Archbishop Maclagan! Last weekend the Junior School held its second successful Scarecrow Festival. 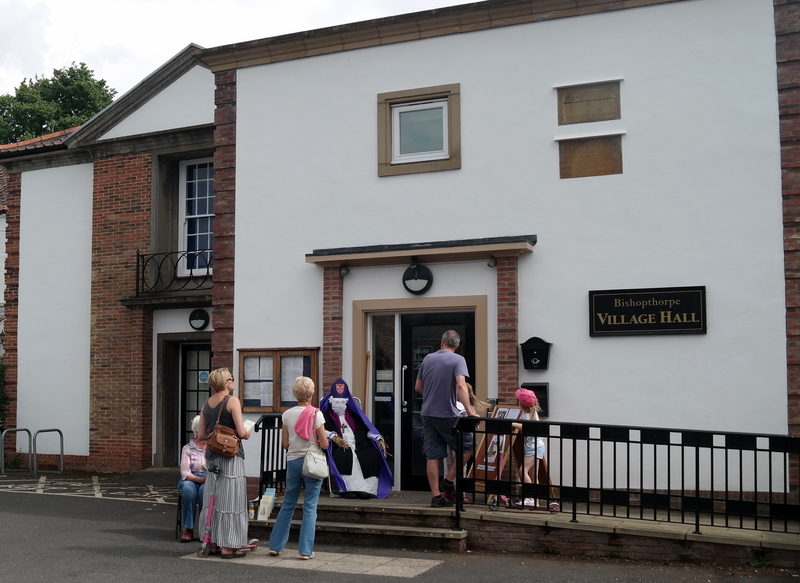 Members of the Bishopthorpe Local History Group decided to join in and put a scarecrow outside the Village Hall where the Community Archive is held. 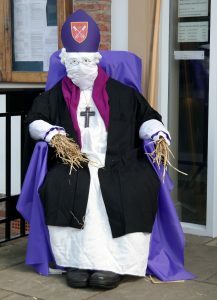 We chose to make a scarecrow of William Dalrymple Maclagan who was Archbishop of York between 1891 and 1908. We didn’t mean any disrespect by producing an effigy of an Archbishop but thought it was very appropriate to place this particular churchman outside the Village Hall. 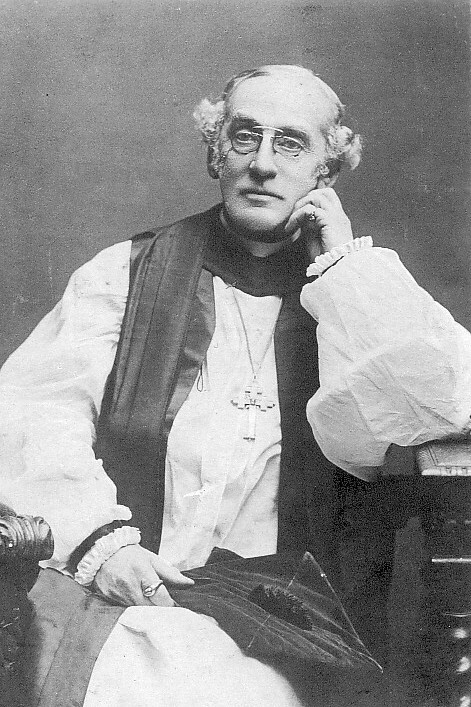 It was through Archbishop Maclagan’s generosity that a Reading Room was built on the site in 1898. At first, the building was only intended for the men of the village in order to provide them with an alternative place of leisure and keep them out of the pubs! In 1904, the Archbishop conveyed the building and site to the people of Bishopthorpe and it eventually became a Village Hall for everyone to use. We had great fun making ‘Archbishop Maclagan’ and telling everyone about the history of the Village Hall. Many people thought that we managed to capture the Archbishop’s likeness. We’ll leave it to you to see if you agree. Visitors outside the Village Hall with ‘Archbishop Maclagan’.